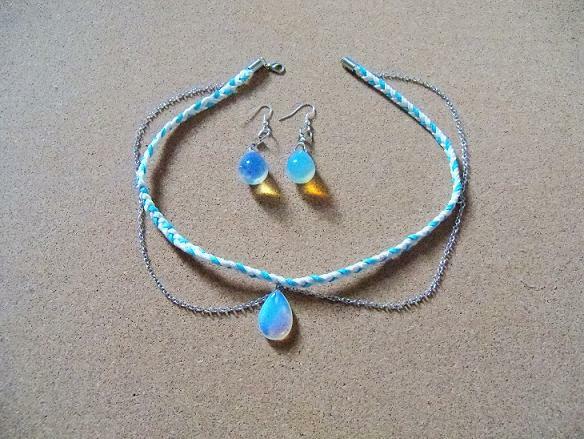 The necklace was made with soft blue and white leather lace that I braided. Silver chains were attached to the leather along with an Opal stone in the center. The earrings are also Opal stones. This entry was posted in Crafts, Jewelry, Online Store, Shopping and tagged Crafts, Crystals, Jewelry, Online Store, Shopping, Tsalagi Dreams. Bookmark the permalink. Very nice and elegant . Blue and white and silver look so beautiful together!